Here at Skywatch.ai, we love data. 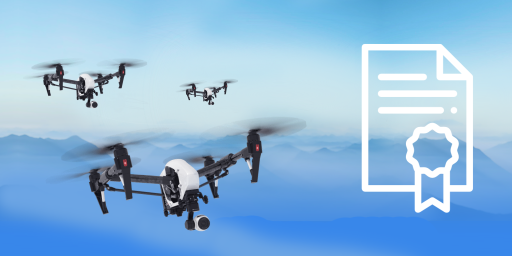 We had the privilege of analyzing over 50 thousand flight logs generated during 2018, and found very interesting insights about how drones are used today. 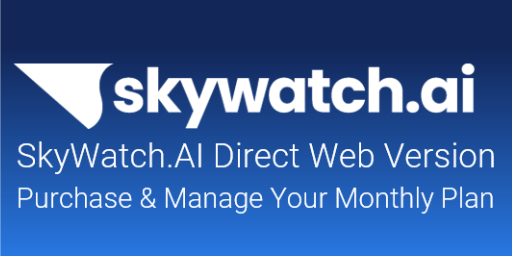 Before we begin, this is a great opportunity to thank the SkyWatch.AI pilot community and our dear data partners for sharing these anonymized flight logs and providing us with the opportunity to discover these insights. 1. What risks are pilots taking? As you can see, hazards were found in over 70% of the flights. Flying in a controlled airspace is quite frequent and will be mostly solved by the introduction of LAANC (see below). Moreover, we noticed that around 30% of the flights were done above congested areas such as main roads and highways. 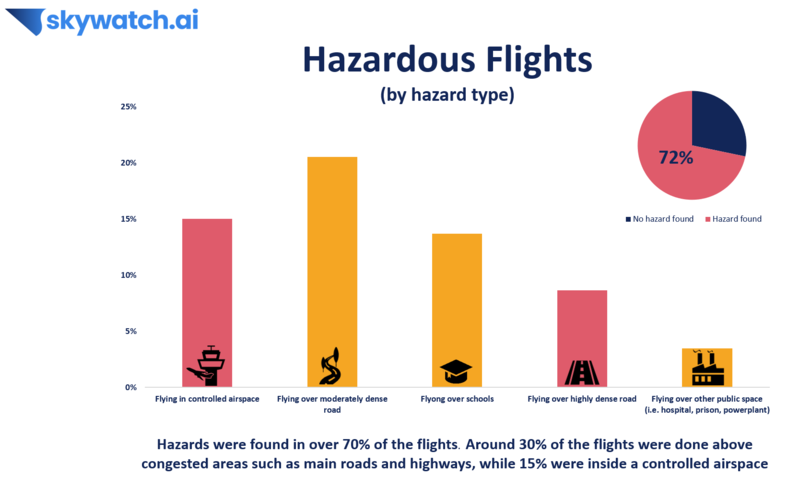 While flying over hazardous areas usually does not increase the chance for an accident, it does significantly increase the severity of an incident if it does occur. However, it doesn’t necessarily mean pilots should avoid such flights at all costs. It simply means you must prepare yourself in advance and try to mitigate such risks as much as you can. Luckily, we’ve written a pretty extensive article on how to prepare and mitigate many of these risks, which you can read HERE. 2. Drone airspace density by state - not what you’d think! 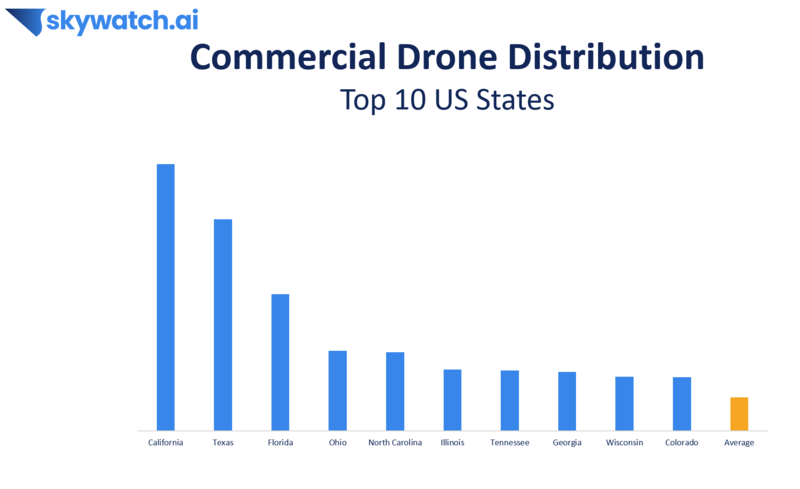 The 10 most active states in terms of number of drones are almost trivial - with California, Texas and Florida heading the list. However, it’s interesting to see that New York (the 3rd largest state in the US) is not listed here. We believe that this is because of the highly congested airspaces, which severely limit flight zones across the state. 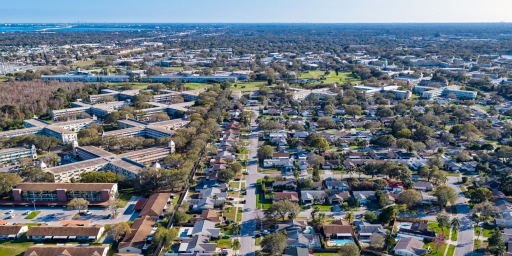 Suddenly, “Non-trivial” states are heading the list, like Connecticut and Massachusetts, where the number of drones per square mile is almost double that of California. Additionally, the adoption differences between states are relatively small. 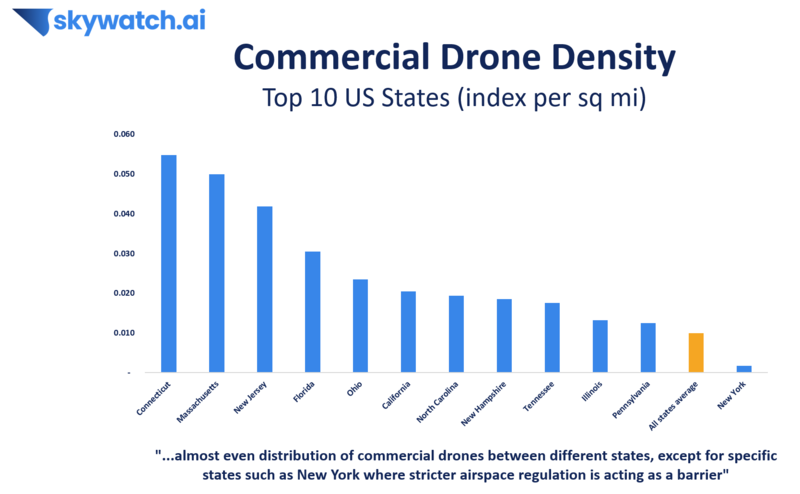 Practically we are seeing an almost even distribution of commercial drones between different states, except for specific states such as New York where stricter airspace regulation is acting as a barrier. We expect that as airspace regulation eases, we’ll see an even wider adoption. Next, we decided to take a closer look at LAANC and its implications. 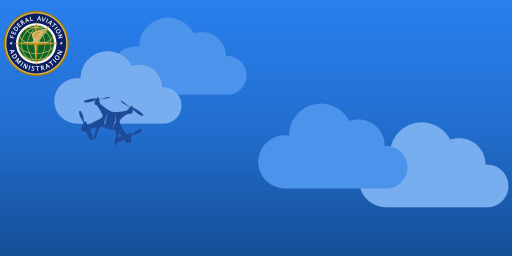 As Wave 5 is about to deploy in Aug 16, LAANC will be accessible in the majority of US airspace, including hundreds of airports and air traffic facilities. We examined our data once again, this time looking for flights in controlled airspaces. What we found was that out of tens of thousands of logged commercial flights, 15% flew in controlled airspaces. 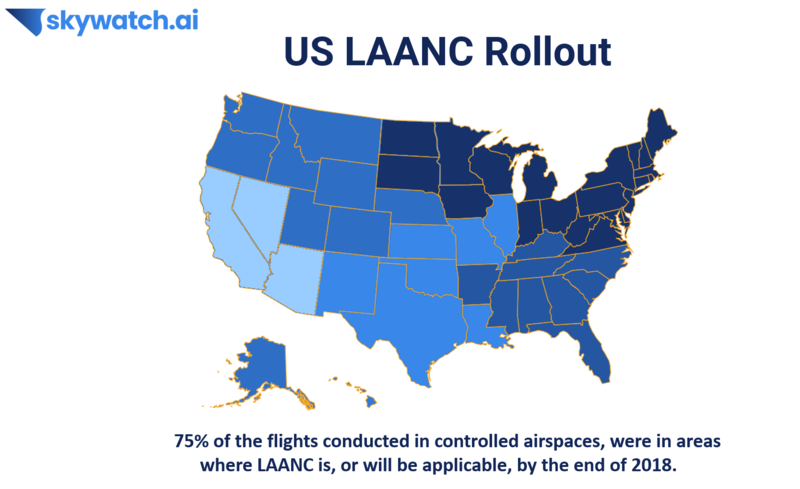 Out of those, 75% flew in areas where LAANC is, or will be applicable, by the end of 2018. We believe that LAANC is an important and innovative initiative that plays a major role in promoting flight-safety in the drone industry. That is why we created an easy-to-use LAANC access feature, powered by Airmap, available directly from within the SkyWatch.AI’s mobile app. The rapid growth in drone adoption creates more jobs and many more opportunities over time. However, this growth is also creating new challenges, both in terms of tech and of regulation - especially around flight safety issues. We believe the solution will come out of a cooperation between pilots, authorities, and technological products that will work together to create innovative solutions and mitigate risks, allowing for more rapid growth in the industry. Analyzing data can be fun (almost as fun as flying a drone! ), and we are very thankful to our pilot community and our partners for allowing us access to this data, so we can bring you these insights.